“Our Lady of Mount Carmel…a great place to be! 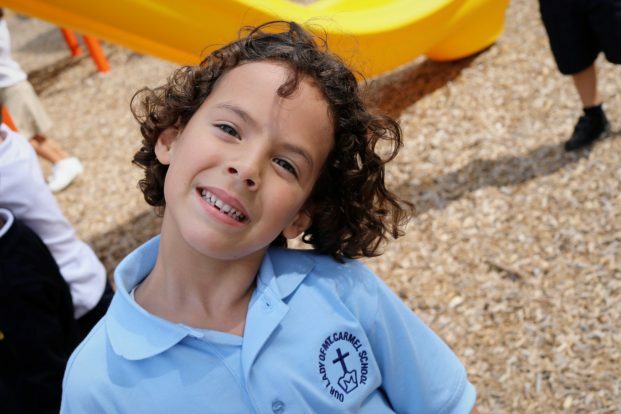 OLMC is great, not only for the top-notch education my children are receiving, but also for the caring and nurturing environment that they are receiving it in. Faculty and staff are very knowledgeable while always being attentive and warm. The teachers and staff know all the students, regardless of their grade, and know them well! “All five of my children attended Mt. Carmel School. Because of the outstanding education they received here, each of them went on to college. Both daughters are college professors (because of the great example of teachers like Sr. Stephen, Sr. Margaret, and Sr. Joanne). My oldest son is a chemist with his own business, My son, Tom is the Fire Chief in Scarsdale, and Mike is a mechanical engineer, currently working on a building project on the Highline in NYC. More importantly, is the education they received that taught them Christian values like compassion, service and work for justice. Each of them has integrated these values into their everyday lives. “My husband and I were very nervous when we decided to transfer our daughter Erin to a new school. All of those apprehensions were quickly put to rest the minute we walked into OLMC. “As a parent, you always want your child to get the best education possible. When you can accomplish that in a loving and nurturing environment, all the better. 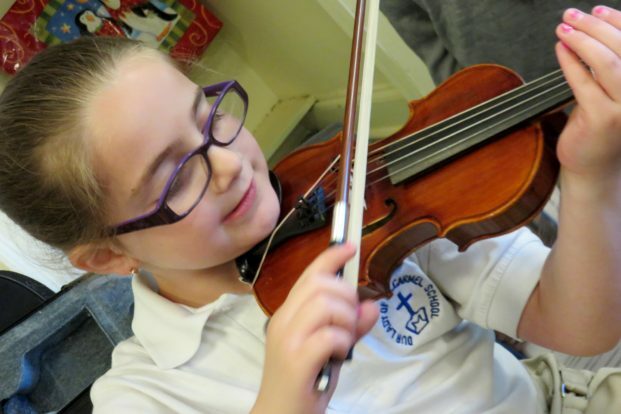 Our Lady of Mount Carmel School provides a wonderful, quality education in a beautifully caring community setting. Each person from the administration, faculty and staff is committed to providing a well-rounded learning experience in a happy and stable environment. My older child recently graduated from OLMC, and his transition to Catholic high school has been seamless. In what could be a difficult time of adjustment, he has proven to be exceptionally well-prepared to tackle both the academic and social challenges of high school. Much of his success is directly related to his time at OLMC. My younger son will graduate in a few years, and I have no doubt that his high school experience will be similarly enhanced by his time at Our Lady of Mount Carmel School.